DonnieRadio recently celebrated its 10th year anniversary of being on air as a globally syndicated urban radio show by making its way to Nigeria! 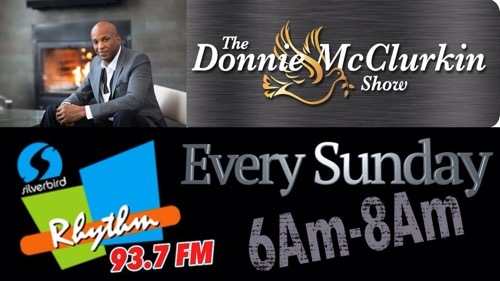 The Donnie McClurkin show has been expanded to meet the growing needs of our affiliates for quality ratings proven and advertiser friendly programming. It is fun, entertaining and inspirational! There’s also Celebrity Interview Segment where Donnie plays host to some of his Famous Celebrity Friends like Fred Hammond, Bebe and Cece Winans, Kirk Franklin, Shirley Caesar, Tyler Perry to mention a few. Tune in every Sunday on Silverbird’s Rhythm 93.7FM from 6AM to 8AM.